Vancouver’s Big Mountain Adventures and BC Bike Race have teamed up with Andreas Hestler, former Olympian and one of North America’s most charismatic cross-country mountain bikers on a fun-filled spring training camp. 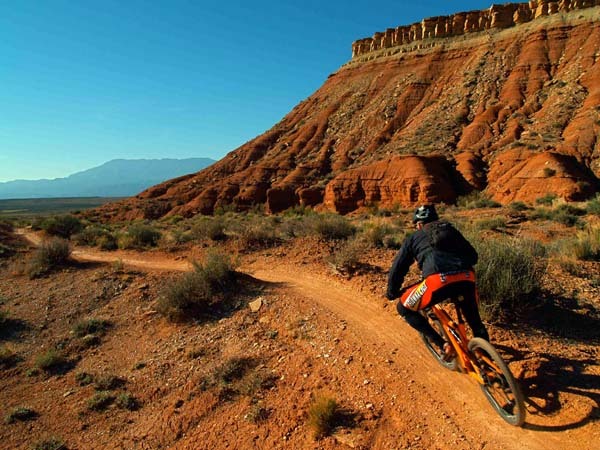 The 7-day camp starts in Las Vegas and travels to south-west Utah and spectacular riding areas like Gooseberry Mesa, Bootleg Canyon and Thunder Mountain. Beyond guiding participants on fantastic rides, Hestler will share his wealth of knowledge during daily sessions on riding skills and training techniques. How does the contest work? It’s simple, send the best story of your biggest ride to info@ridebig.com. Words, photos, video, art – or any combination will do. Be creative, have fun. For complete contest information, click here: ridebig.com/biggestride. For more information on the Vegas Spring Training Camp, go to ridebig.com/trip_usa_springtraining.php.